We all know how hard it is to play games on iPads. Sure, games like Angry Birds or Cut the Rope do not get any harder, but more complicated games like Bad Company can be near to impossible. The minute you have a game that you have to control every second of, like Bad Company, Need for Speed, or even simple games like Snake, if you want to do well, you have to have a controller. Well, now you do. TenOneDesign announced their game controller that basically takes your iPad and gives it analog sticks that attach to the string by using suction cups. 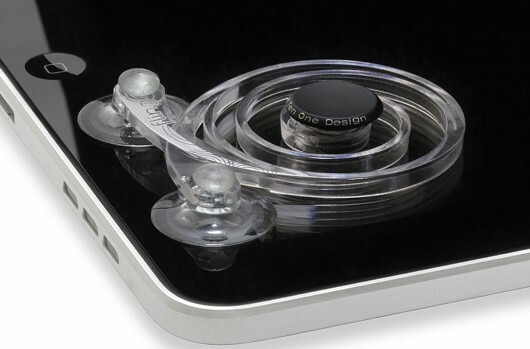 These suction cups can be placed anywhere along the screen. The actual device is ready to buy in late January, and costs $25 for one, and $38 for a two-pack.